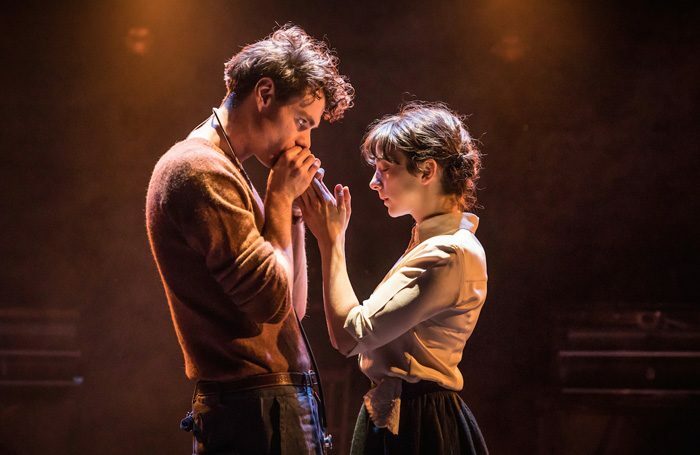 Rebecca Frecknall’s emotionally rich production of Tennessee Williams’ previously unloved play loses very little of the intimacy or delicacy in its transfer to the West End. Designer Tom Scutt has recreated the Almeida’s brick back wall on the Duke of York’s stage, while Lee Curran’s lighting bathes the stage in dusty midsummer orange or floods it with blinding white. Patsy Ferran’s extraordinary performance as nervy minister’s daughter Alma has, if anything, grown in clarity. It’s a performance of exceptional precision and attention to detail. It’s possible to see the conflict between Alma’s inner turbulence and the rigidity of her upbringing in her every glance and gesture. She conveys longing with a twitch of her lips – sometimes it’s like she’s swallowed a songbird – and gives the impression of walking on tiptoe even when her feet are flat upon the ground. Just stunning. Matthew Needham, as the rebellious and at times callous, young doctor John, the object of Alma’s affection, is slightly eclipsed by her at first but he grows in complexity and humanity across the production. At first he appears to cruelly toy with her, but he’s subject to a different, if equally constrictive, set of social pressures. Frecknall’s spare and place-less staging, with its semi-circle of pianos, creates a space in which the actors can unravel their characters. The supporting cast is exemplary, particularly Forbes Masson, doubling as both John and Alma’s fathers, two men who want to lock their children into boxes – he delivers one of the most moving moments you’ll see on stage this year.